When day is gone, and shadows begin to deepen, it is time for Grandfather Twilight to close his book, put on his jacket, and go for a walk through the forest.<br /><br />Little birds hush as he walks by, and the rabbits and other small creatures watch in silence as he performs his very special evening task and returns to his house among the trees. 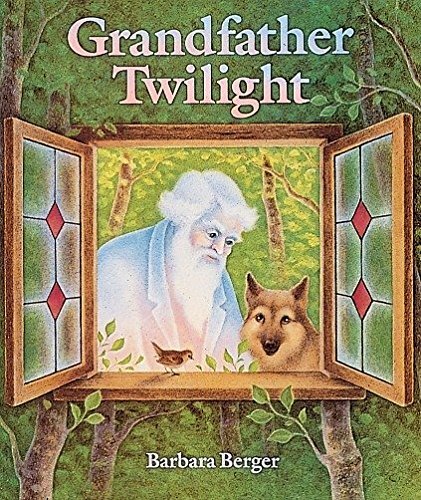 Small readers and listeners, too, will sense the serenity of this poetic story, and will be comforted to learn that the twilight is a gentle, friendly time.<br /><br />Exquisite pictures extend and illuminate the text, to reveal the nightly miracle so faithfully performed by Grandfather Twilight. Perfect for reading aloud and for sharing at bedtime, this beautiful and reassuring book will be cherished by old and young alike. Barbara Helen Berger lives on Bainbridge Island, Washington.